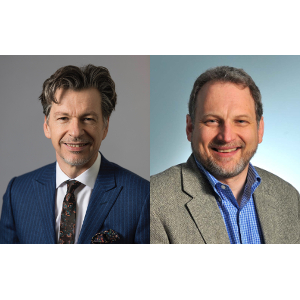 Derek Angus, MD, MPH, and John Kellum, MD, are identified as researchers making an impact in solving the world’s biggest challenges by Clarivate Analytics in the annual 2018 Highly Cited Researchers (HCR) list. Due to their extensive critical care medicine research endeavors, Drs. Angus and Kellum were ranked in the top 1% by citations for their field in the HCR’s Clinical Medicine category. Clarivate Analytics released the 2018 HCR list on November 27, 2018. Both Dr. Angus and Dr. Kellum are on the front line of clinical research for critical illnesses that plague today’s healthcare. While Dr. Angus’ fields of study are broad, he is known globally for his work on sepsis, a blight that has been known for centuries yet still kills as many as 258,000 in the US and is estimated to affect more than 30 million people worldwide every year. For example, he led the ProCESS (Protocolized Care for Early Septic Shock) study, an NIH-funded, 40-center study focusing on how to best provide early resuscitation for septic shock. His research interests also include clinical, epidemiologic and translational studies of sepsis, pneumonia, and multisystem organ failure as well as health services research of the organization and delivery of critical care services. Dr. Angus has authored more than 360 publications. Dr. Kellum has deep research interests in critical care nephrology, including acute kidney injury, acid-base and renal replacement therapy, and blood purification. His work has impacts for the 73 million Americans who are at risk for kidney disease because of diabetes, high blood pressure or their family history. Globally, 10% of the population is affected by chronic kidney disease with millions dying because they do not have access to affordable treatment. Dr. Kellum also studies clinical epidemiology, sepsis and multi-organ failure. He has authored more than 290 peer-reviewed publications. Twenty researchers, including Drs. Angus and Kellum, from medical and science fields at the University of Pittsburgh and UPMC Children’s Hospital of Pittsburgh were ranked in the 2018 HCR list.